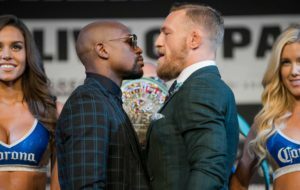 Conor McGregor lost his second fight in a row last weekend, if you count his boxing match last year against Floyd Mayweather. This time, however, McGregor was back on his home turf, out of the ring and inside the cage where UFCs best prove their mettle. It was a one sided affair, with Russian lightweight champion Khabib Nurmagomedov dominating his foe throughout most of the match before forcing the Irish star to tap out in the fourth round. No doubt it was a brilliant performance from Khabib. Unfortunately, the wrestler afterwards jumped out of the cage and attacked a member of McGregor’s team. Needless to say chaos ensued.